Varley, Christopher. 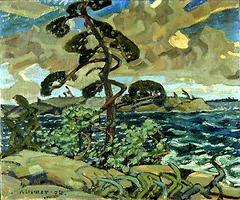 "Arthur Lismer". The Canadian Encyclopedia, 04 May 2015, Historica Canada. 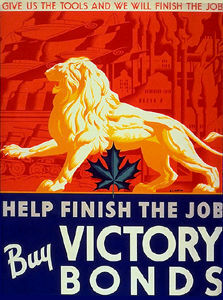 https://www.thecanadianencyclopedia.ca/en/article/arthur-lismer. Accessed 23 April 2019. Arthur Lismer, 1920, oil sketch on panel (courtesy Dr John Parnell, Vancouver). Arthur Lismer, 1920, finished oil painting on canvas (courtesy NGC, bequest of Vincent Massey). Arthur Lismer, painter, educator (born 27 June 1885 in Sheffield, England; died 23 March 1969 in Montréal, QC). Arthur Lismer was one of the founders of the Group of Seven and a crucial figure in the development of arts education in Canada. 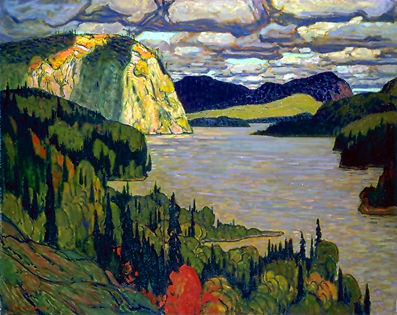 Lismer's first Canadian paintings were heavily influenced by the 19th century British landscape painter John Constable, French Barbizon school artists like Jean-François Millet, and post-impressionist Belgian painters, but during the 1920s he developed a powerful expressionist style of his own, characterized by raw colour, heavy impasto, deliberately coarse brushwork and compressed simplified forms. 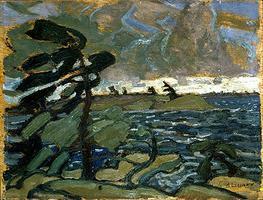 In A September Gale, Georgian Bay (1921), for instance, there is a simple, swaying tree in the foreground rendered in earthy reds, the water a rhythmic pattern of whitecaps, the sky roiling with clouds. October on the North Shore, Lake Superior (1927), on the other hand, is a slightly elevated view of lake islands painted in thick earth tones, the water a subtly rippled blue-green, the sky a horizontal sweep of heavy — and also earth-toned — clouds. While an accomplished painter, Lismer devoted most of his time to art education. From 1927 to 1938 he was the educational supervisor at the Art Gallery of Toronto (now the Art Gallery of Ontario). In 1932, he undertook a nationwide lecture tour; invitations to conferences in Europe and South Africa followed, and he returned to teach in South Africa in 1936-37. In 1938, he was visiting professor at Teachers College, Columbia University. He ran the Montreal Children's Art Centre, affiliated with the Montreal Museum of Fine Arts from 1941 to 1967. 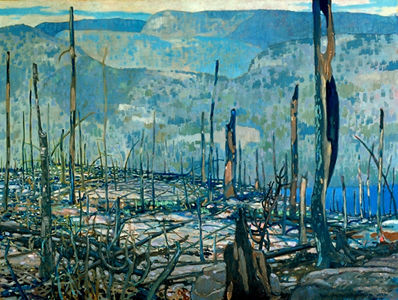 This activity left Lismer with little time to paint, but he produced many of his most original works after 1930, painting first in the Maritimes and Georgian Bay, and from 1951 at Long Beach, on Vancouver Island, each summer. The lurid, intestinal and claustrophobic qualities of many of these paintings were not to contemporary taste, but have gained acceptance in recent years, for they seem to have developed from a form of deep, personal expressionism. John McLeish, September Gale: A Study of Arthur Lismer of the Group of Seven (1955).